ROMA — Following the adoption of a ban on electioneering by the Starr County commissioners, the city of Roma has also adopted new regulations on electioneering. Electioneering will not be allowed before noon on the day before voting begins or 24 hours after the voting period ends. It will also be prohibited on driveways, parking areas or medians within parking areas of a polling place, except within a designated area. Violation of the ordinance is a misdemeanor, subject to a fine not to exceed $500. Adoption of the ordinance was driven by safety concerns, said Roma City Manager Crisaldo Salinas. During municipal elections, there are typically about two or three candidates running, Salinas said. However, with countywide elections to be decided in the upcoming March primary, there will likely be over 24 candidates campaigning, leading to a greater amount of electioneering outside the polling sites. 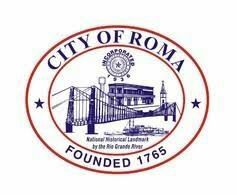 Of the four early voting sites that will be set up throughout the county, one will be in Roma at the Roma Community Center. “We researched and we found out the city of Weslaco had passed an ordinance sometime back and we used that to guide us and we sought advice from our attorneys,” Salinas said.